Welcome back to my transition blog series! In case you missed last Monday's, you can click the link below to take you there! Today's is all about lining up for the hallway. I find this to be one of my most challenging times in my classroom. Of course, my students are so excited to be going somewhere besides the classroom since they spend so much time in our room. 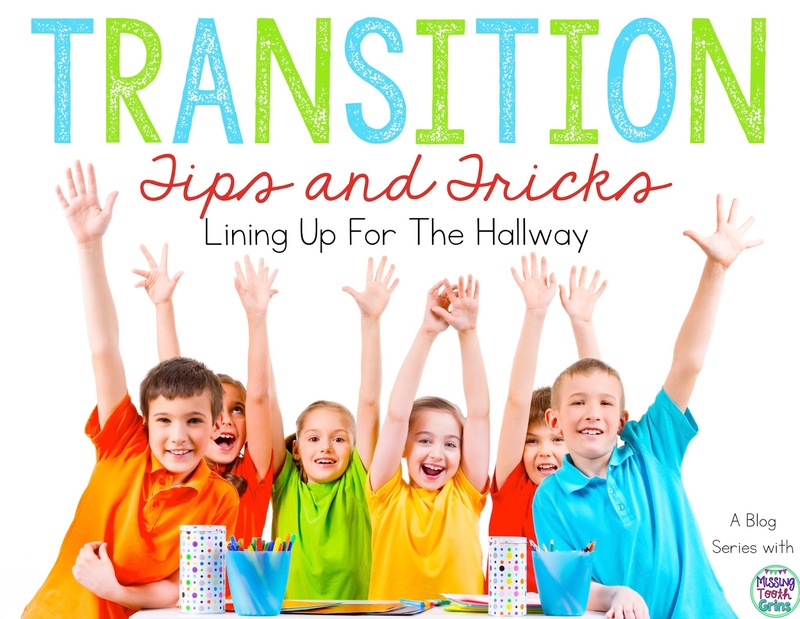 Plus, when they leave, it's either for recess, lunch, specials, or a bathroom break. All things that are needed and wanted throughout our day. So, of course they're excited to be leaving! Here are some things that I've found helpful in my room. 2. Push your chair in. This has worked for me really well because the class has to be completely silent when I say these things. I don't speak loudly for a reason- I shouldn't have to! There are lots of songs that I'm sure you can find on the good old Internet or on Pinterest, but here's the one we sing before we go in the hall. I literally made this up on the spot one day because I couldn't think of any songs I know. It's short, simple, and to the point. 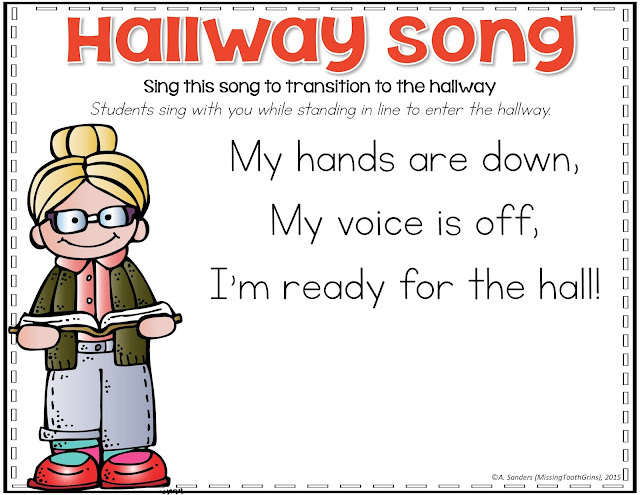 While singing, it is the students' job to prepare for the hallway. They are to get their hands to their side, turn their voices off (once the song is over), and show that they're ready for the hall. I always like to challenge my students and tell them I'll believe it when I see it. We are in Missouri, so I always go, "I'm from the Show Me State; you gotta show me!" They get a kick out of it and half of them say it to me by now, but it's true. I have to see that they can to believe that they can! I put quotations around assign because if it's a secret, then obviously the kids don't know they are assigned to this important role. Every morning, I'll pick a secret leader. The important thing is is that it's a secret! If my secret leader is following directions in line, I make sure to point that out and say something like, "Ooh, I love how my secret leader is standing." and a lot of times the rest of the class will catch on. However, on the flip side, if the entire class is having a hard time staying quiet in line, I might say something like, "Ooh, I hope that my secret leader is on his/her best behavior right now." Those are just little reminders that I'm watching and they need to remember how they need to walk in the hallway. 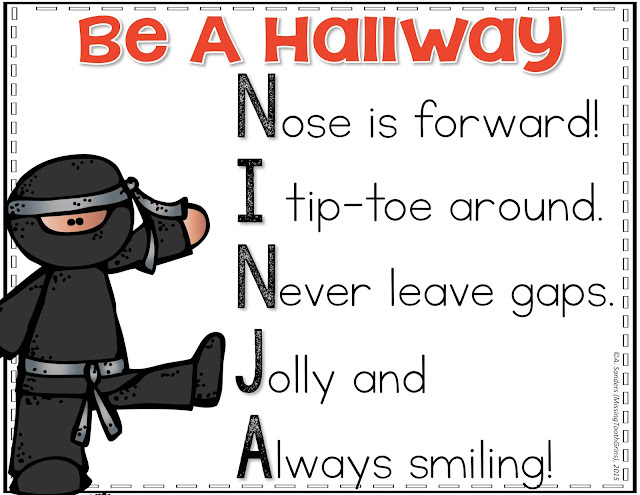 I used this little trick a couple years ago when I had a class that loved ninjas. It's nothing fancy, but they liked pretending they were sneaky ninjas in the hallway. They always felt like they were on a top secret mission! This is when we are on a bathroom break. Obviously, there's just one of me and 20 kids (yes, just 20 this year! Perfect number!). So, I assign a quiet leader to watch the line. His/her job is to walk up and down the line to find the quietest person. He/she picks the quietest person and then that person gets to be the quiet leader. The old quiet leader takes the new quiet leader's spot in line. Then, the process starts over. Click the picture below or any pictures above to download the posters!